CARDIFF, UK – Those who follow The Haus Band will find a lot to like about this up-and-coming funk sextet’s new music video, but for one group of fans in particular there’s a specific track on that production that will be especially meaningful for years to come. 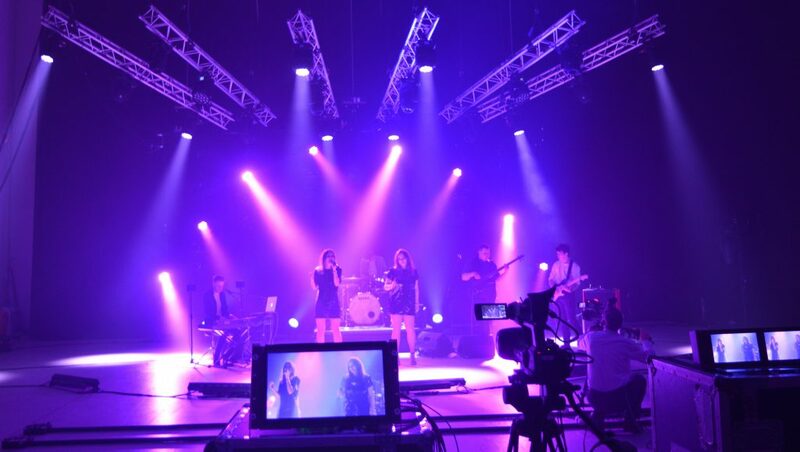 These fans are the students from the University of South Wales Lighting and Technology department, who were given the opportunity to operate the lights for a music video shoot by The Haus Banda at The Wales Millennium Centre on April 16-17. 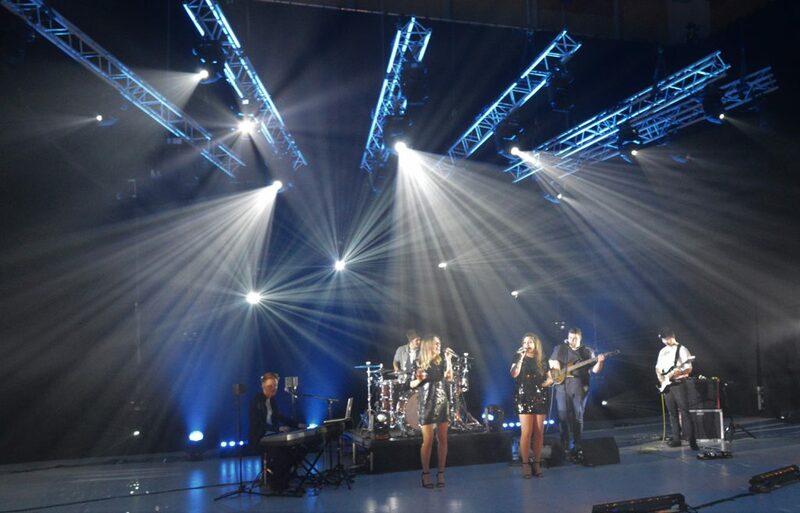 The lucky students got to use a variety of consoles, including a ChamSys MagicQ PC Wing to run a David Howard- and Dominic Boston-designed rig that featured over 50 moving lights, including CHAUVET Professional Maverick and Rogue fixtures. Aside from getting the chance to operate this impressive gear, the students garnered valuable insights into the lighting design process. “It was really nice to lead a project with students from conception, though programming and production, to completion,” said Howard. “It’s something I had not yet done on a university project of this scale. It was also nice to see pre-visualised programming come to life on a real rig, something ChamSys MagicVis allowed very easily. The process took students through the whole design process, providing insights into real world practices. Howard and Boston addressed this challenge by breaking from tradition and eschewing standard horizontal truss looks. 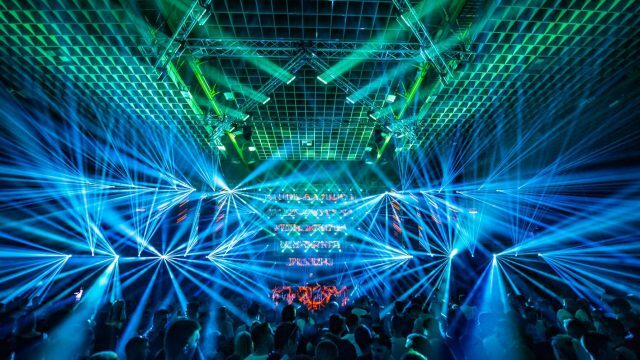 Instead, the designers went with a more angular truss configuration that featured angled bars and fingers extending from the compact center stage structure. Angled outward at 30°, the truss structures created an on-camera impression of space and depth. The sticks reached upward and outward in an arc, allowing fixtures on them to make three concentric half rings in the air. Hanging fixtures on the rings also created the impression that the lights were floating against the dark backdrop. This arrangement enlarged the look of the rig, without sacrificing its sense of intimacy. Howard and Boston positioned eight Maverick MK2 Wash fixtures on the overhead raked truss fingers. From this position, the washes were used to provide back lighting as well as pixel eye candy and tightly shaped animated beam looks. 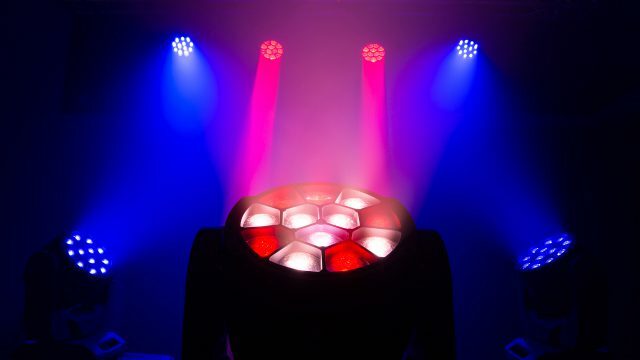 A mix of four Rogue R1 Spot and four Rogue R2X Spots, supplied by Enlightened Lighting, was also used in the overhead rig. 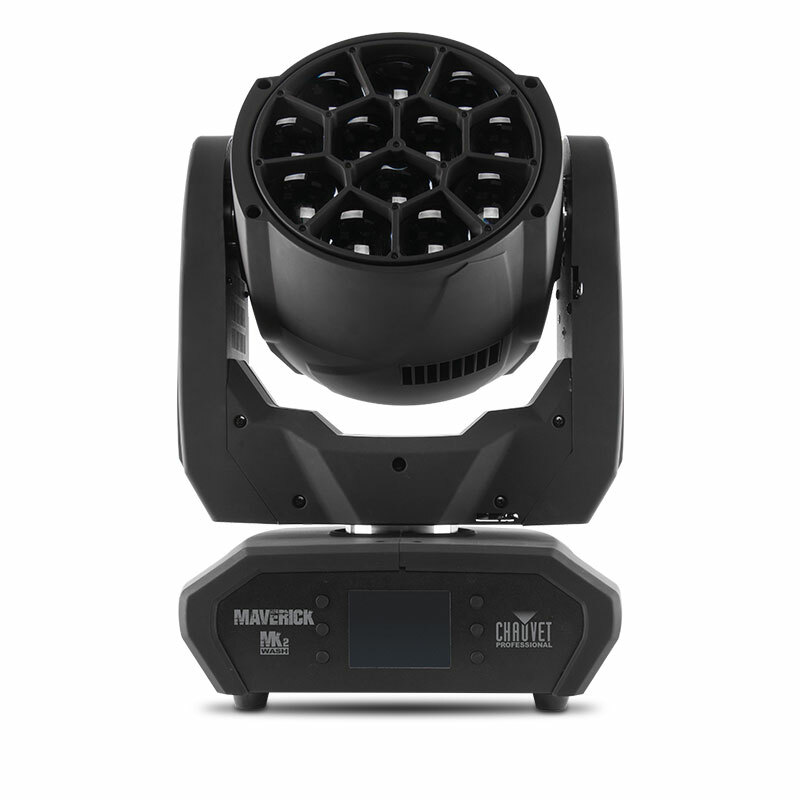 These heads, combined with the MK2 Washes, allowed Howard and Boston to create a versatile festival-style rig overhead that the student lighting designers could use to achieve a variety of looks. For those students, the experience running lights for The Haus Band was an excellent educational opportunity. They could take pride in knowing that their work also resulted in a music video that any funk music fan will find well worth watching!